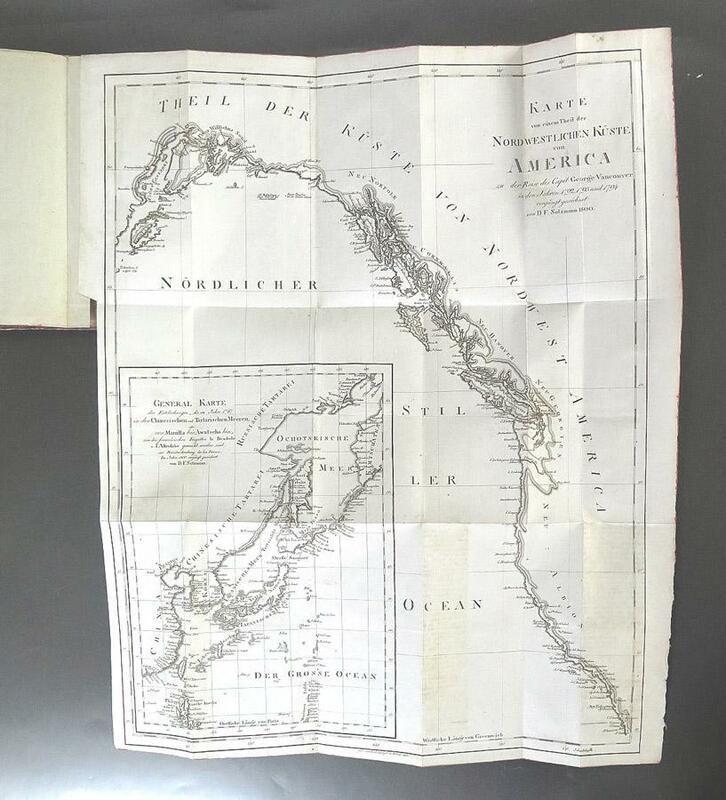 viaLibri ~ Carte Particuliere De La CÔte Du Nord-Ouest De L¿Amérique - showing the area of the west coast of North America, surveyed by Capit. George Vancouver. With an inset of the north-western part of the Pacific Ocean, showing the Chinese and Tartar seas, with the territories discovered by the French fregattes BOUSSOLE and ASTROLABE, plus 2 copper engravings of inhabitants of Baie Longle and Baie Castries. PLUS the complete German edition of Perouse's discoveries made in the years 1787 and 1788 (which is Vol. II of the descoveries made in the years 1785 until 1788).